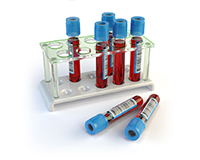 The LGC Immunosuppressant proficiency testing scheme provides independent performance assessment for laboratories performing quantification of immunosuppressant drugs in blood and plasma. Immunosuppressant drugs are a class of drugs that suppress, or reduce, the strength of the body’s immune system. In addition to being used to prevent organ rejection, they are often used to treat autoimmune disorders such as lupus, psoriasis, and rheumatoid arthritis. Regular blood tests are essential for monitoring therapeutic levels and whether dosage changes are needed. To successfully make these informed decisions laboratories need to demonstrate that drug measurements are reliable, reproducible and accurate. The scheme reports on the performance of U.K. participants (who have clinical responsibilities) to the National Quality Assurance Advisory Panels for Chemical Pathology.